Neuroscience and Behavior Major B.S. What is neuroscience and behavior? Neuroscience and behavior is a multidisciplinary field that seeks to understand the complex relationship between the nervous system and behavior in humans and other animals. While our understanding of the connection between neuroscience — one of the fastest-growing scientific fields — and behavior is increasing rapidly, there is still much to discover about brain function and its impact on development, reproduction, attention control, stress, cognition, memory and more. 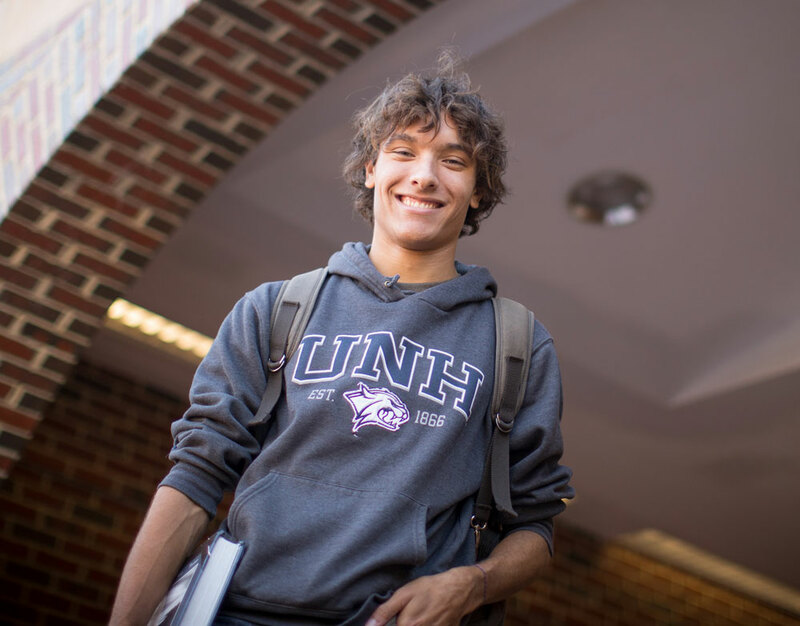 Why study neuroscience and behavior at UNH? 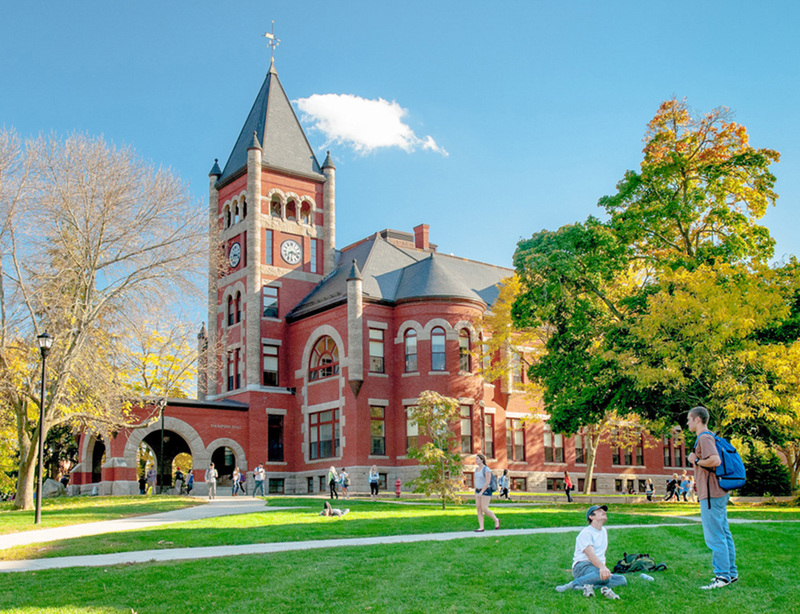 UNH was one of the first universities in New England to offer a neuroscience and behavior degree. Students engage in hands-on laboratory research with our psychology and biology faculty, gaining valuable experience with cutting-edge equipment and techniques. Our research facilities include nine on-campus research labs, including the Jackson Estuarine Lab, the Coastal Marine Lab, the Integrative Animal Behavior and Ecoacoustics Laboratory and the Confocal Imaging Center. The program’s progressive curriculum, award-winning faculty and opportunities for hands-on research prepare students for success in both post-graduate degree programs and the workplace. At UNH, Kiley Kennedy ’19 has found unique opportunities for learning in both traditional and nontraditional ways that are preparing her for the future. The major in neuroscience and behavior (NSB) offers an interdisciplinary approach to human and non-human behavior, focusing on the evolution and adaptiveness of certain behaviors, as well as their underlying neural mechanisms. Students who have always been fascinated by how the brain functions will be well served by this major, as will those who love wild animals and wish to better understand their behavior. The B.S. in neuroscience and behavior is based on a solid foundation in biology, chemistry, physics, statistics, and genetics (foundation courses). These are followed by a two-semester course sequence that covers the fundamentals of neuroscience and behavior. Students can then pick five or more electives focusing on areas of interest. NSB students are encouraged to take advantage of research experiences in the laboratories of the psychology and biology faculty in the program. This provides valuable experience with cutting-edge equipment and techniques. Some students may share aspects of a larger project, whereas others may be relatively independent and design their own project under supervision. In either case, important skills are gained by the discipline of gathering data, analyzing and interpreting it, and presenting it to a broader audience. The curriculum provides most of the requirements and recommended courses for students seeking admission to graduate school and to professional schools in medicine and veterinary medicine. Students who might choose not to go on to advanced degrees are well-prepared for employment as skilled technicians in research laboratories or, if their interests are in animal behavior, as field research assistants or animal trainers. With additional courses in education, the B.S. in NSB also qualifies graduates to teach at the elementary, junior high, and high school levels. Faculty participating in the NSB major combine a love of teaching and student mentoring with a passion for research, and encourage student participation. Research facilities that students can use include the aviary, the confocal imaging center, the Hubbard Center for Genomic Studies, and the many marine, freshwater, and estuarine laboratories associated with UNH programs. Students can also take summer courses at the Shoals Marine Laboratory. Students majoring in NSB are required to take foundation courses in basic science, core courses, and five electives from an extensive list of courses, including some offered by other departments including biochemistry, molecular and cellular biology, and natural resources. Finally, a capstone experience is required. This may be independent research, an advanced seminar, or other special student activity. It is meant to integrate prior experience and take the student to a new level in an area of special interest. Courses that are eligible to fulfill the Capstone requirement are indicated with a (C) and must be taken senior year. You can: 1) designate a course as a Capstone course, with additional requirements as determined by the instructor; 2) complete one semester of Capstone Research (BIOL 795, PSYC 795, or INCO 790); 3) do an honors thesis in Neuroscience (NSB 799H) or Biology or Psychology (BIOL 799 or PSYC 797/799) or; 4) participate in an advanced graduate seminar. NSB majors may use BIOL 411, BIOL 412, CHEM 403, CHEM 404, PHYS 401, PHYS 407 and either PSYC 402 or BIOL 528 to fulfill the Biological Sciences, Physical Sciences, Discovery Lab, and Quantitative Reasoning Discovery requirements.